Tisserand Aromatherapy Citronella Organic Pure Essential Oil is a fresh, antibacterial and deodorising oil with an fresh green aroma. Ideal for vaporisation. 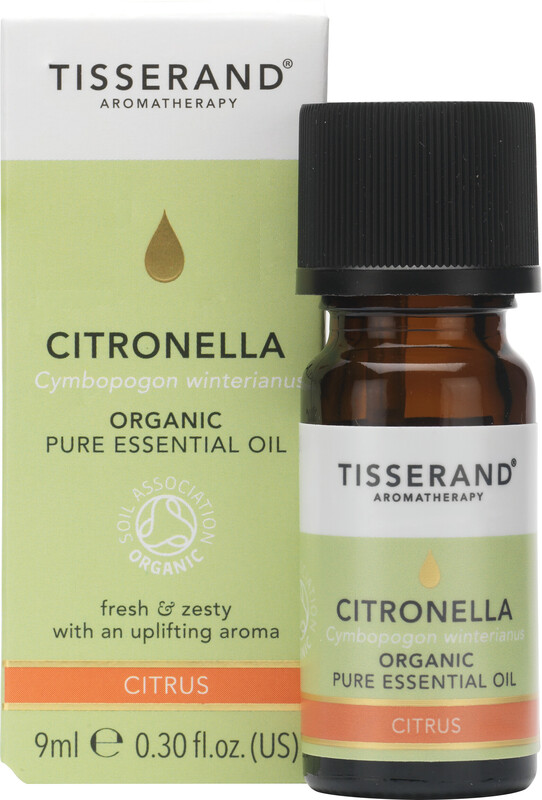 The organic Citronella used in this Tisserand essential oil has been extracted from the grass grown in Nepal and steam distilled. Citronella has a number of different uses for aromatherapy and daily life. Its strong scent helps to clear the mind, ease nasal congestion from colds and flu, repel insects and cleanse rooms of strong odours when used as a vaporising oil.